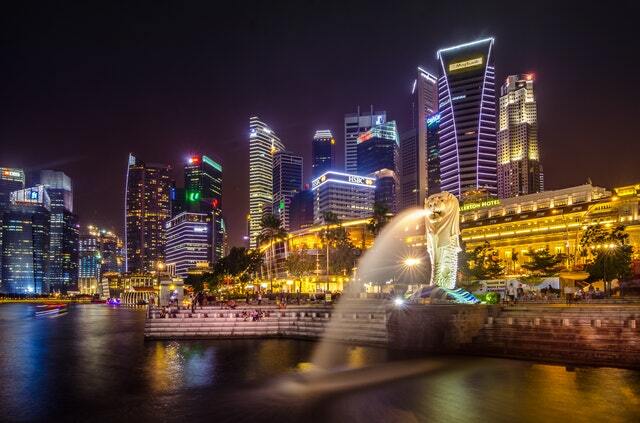 Singapore is the best place for both domestic and international businesses to operate. According to World Bank Index, this Lion City has came at the first place in 2017 and 2018 for helping small businesses expand their wings, locally and internationally. With efficient regulatory environment, good infrastructure, as well as stable political climate, it comes as no surprise that entrepreneurs and businessmen from all around the world are coming to the country to build new businesses and startups. 01 How much capital should you prepare? Tips – When jotting down a business plan, it is crucial to consider the amount of capital needed to launch the product or service. You should know the minimum capital required to start a new business. However, leaning towards the minimum capital requirement might not be the best move as there could be a risk of failure and other unexpected turn of events. Therefore, you should also consider about the risk and prepare additional budget, if possible. 02 How competitive will your startup be? Tips – As best as possible, evaluate the level of business competition in your market to assess the opportunities and threats that might come, either from inside or outside factors such as business competitors. You can also identify obstacles and find strategies to stay in the game. 03 What are the risks involved in a new business? Tips – Study and evaluate the risks involved in the type of business you are interested in. Once you have identified the potential risks, it will be easier for you to create strategies to counteract them. 04 What do you know about your company and what skills you should have? Tips – Starting a business does not only need knowledge about type of business you intend to embark on, but also set of skills a businessman should own. In this case, you can survey top business trends and get ready to have requisite skills to carry out your business. 05 Who will your potential customers be? Tips – Business flourish because of loyal customers. Therefore, before you sail on your business, you should identify potential customers and always keep them interested in your business products. To do that, you should be able to keep finding strategies and to improve your product or services to meet high demands. 06 How will you reach your potential customers? Tips – You can consider an effective platform of distribution for your business. Make sure that your products can reach your customers. That’s what matters most. 07 Will your business generate good revenue? Tips – It is crucial to consider the level of profit before embarking on a new business venture. You can do this by analysing expected income and expenses to help you assess the financial health of your company. Without profitability, your business will be collapse in the long run. 08 How will you comply with government policy? Tips – Before starting a startup, you should study government policy concerning with the business or contact a person who can help with the legal matter. Make sure to follow the rules and regulations accordingly, or else you will face a fine with your business plummeting. 09 Where is the best place for your business? Tips – Try to consider a strategies location of your business where your potential customers congregate. Hack the demographics, traffic pattern information, lifestyle data and competitive analysis to know the target market. 10 How will your business succeed in future? Tips – Above all, in succeeding a startup, you should know how to avoid the closing down part. You can do it by planning the future prospects of your business. You should also be able to gauge where your business is in the following years.